We'll be steering toward SoMa this week for made-to-order dumplings and beers at the much-anticipated Dumpling Time. Opening Friday, May 19, the restaurant is headed up by Kash Feng, the Omakase Group restaurateur responsible for Okane and the one-Michelin-starred Omakase. 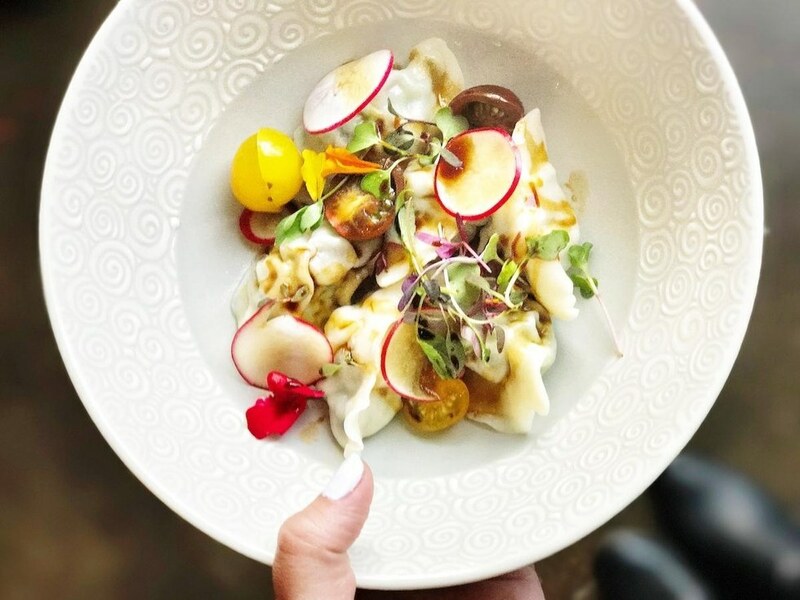 This new project focuses on Asian dishes with a California twist, intended to be paired with both local and Japanese beers on tap. Inside, you can watch the dumpling-making process—all are done by hand—and hang out at large communal tables. Neon signs and sketches of cityscapes make for casual neighborhood vibes. 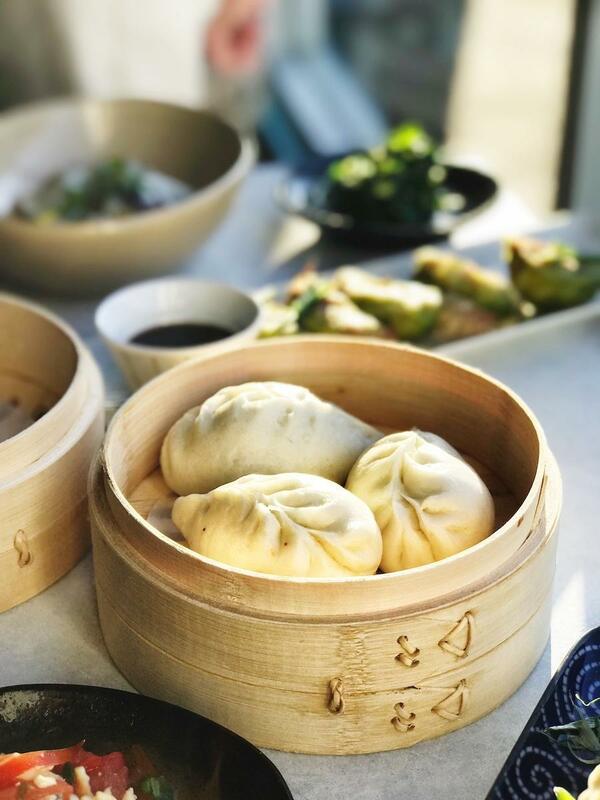 Dumpling Time is a new casual restaurant set to open this Friday, focusing on creative dumplings and beer from the team behind Omakase, Okane, and Live Sushi Bar. 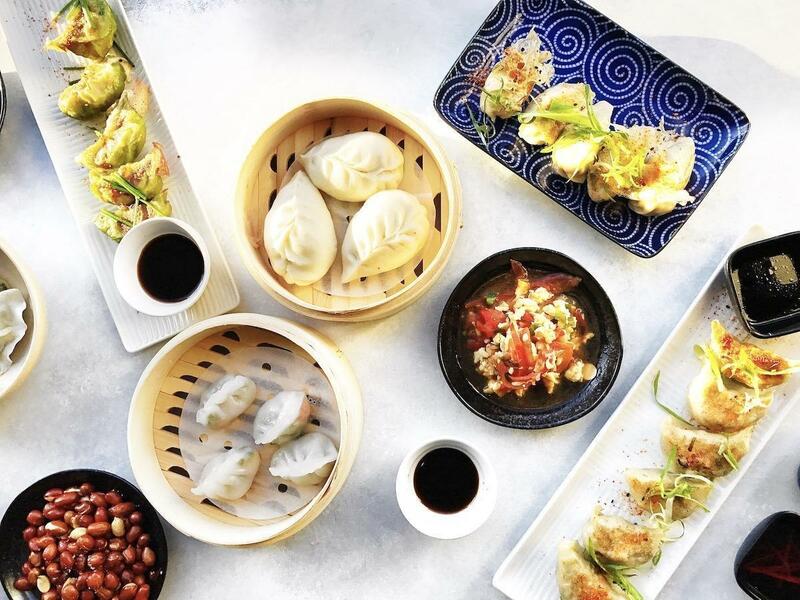 The Dumpling Time menu offers a huge range of dumplings made with a California twist. 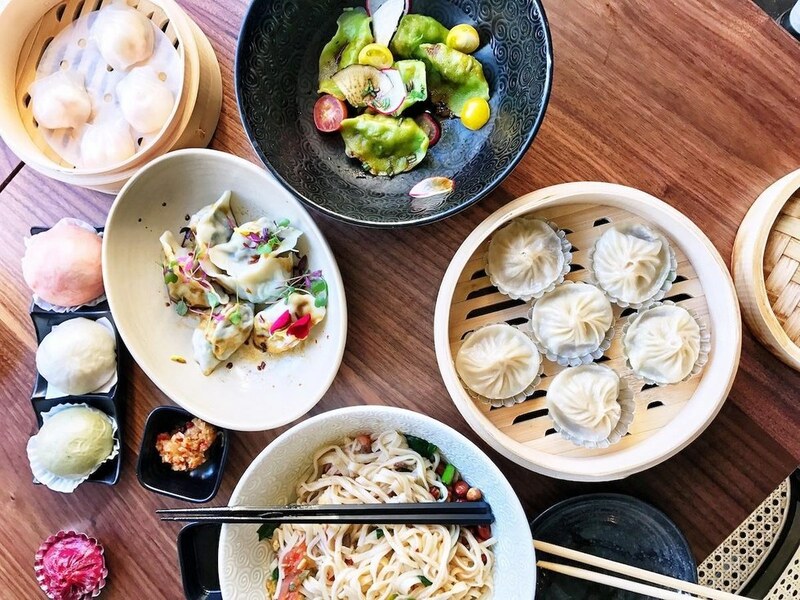 Dishes include different types of gyoza, steamed buns, har gow dumplings, Xi'an dumplings, and soup dumplings, along with several sides and sweet buns. 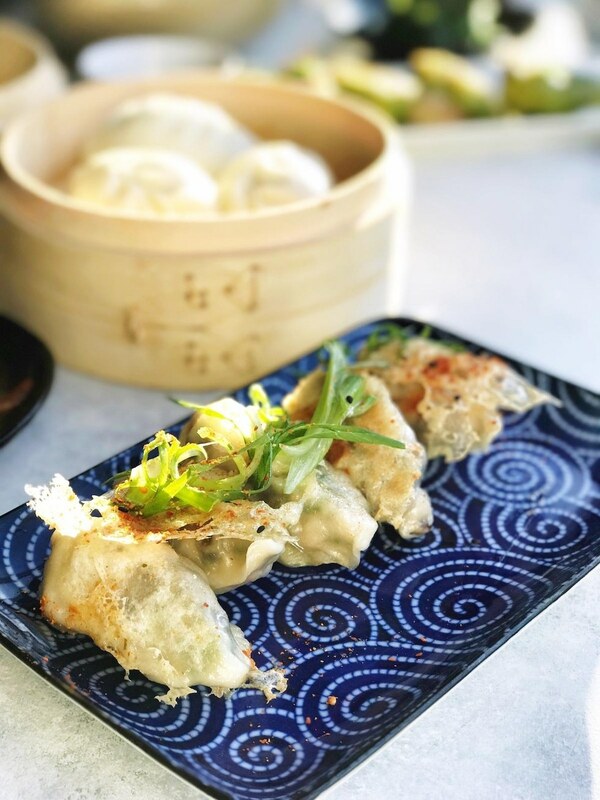 The chicken gyoza are filled with thinly sliced green onions and shitake mushrooms, perfectly crisped on the outside. 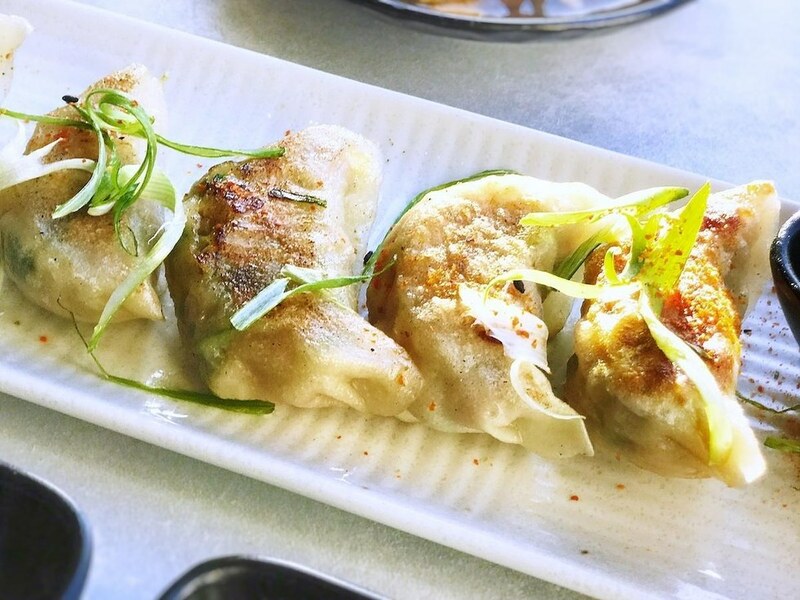 With 10 beers on tap, you'll find something perfect to go along with your dumpling spread. Beer offerings are a mix of Japanese, Asian, and local San Francisco beers. Green dumplings? Yes please! This gyoza is made with spinach to give the dough a gorgeous green color. Stuffed with seafood and accompanied by spiced chili butter sauce, this dish is a must-order. Soup dumplings are a popular dim sum dish. 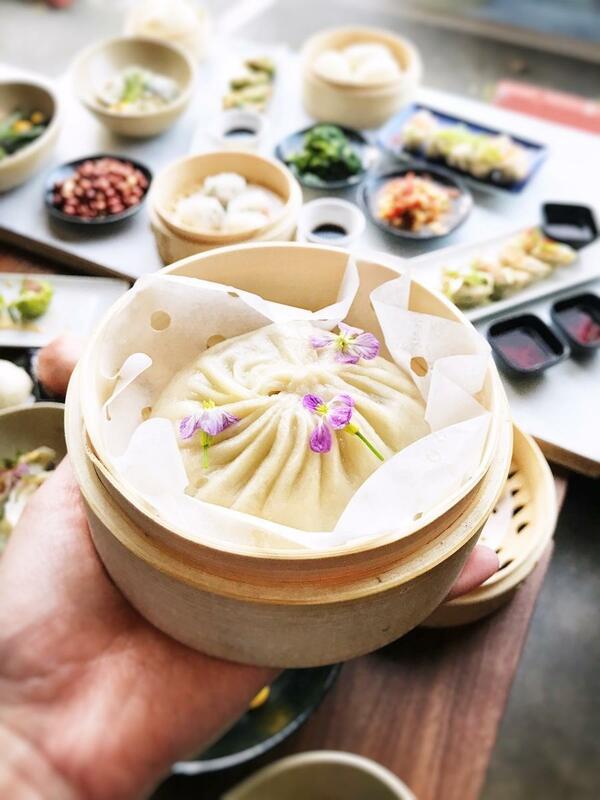 This King-Dum soup dumpling is the mother of all soup dumplings, so large it is served with a straw to help drink up the broth hiding inside. The Xi'an dumplings are a work of art, each perfectly pinched to hold pockets of pork or vegetables. 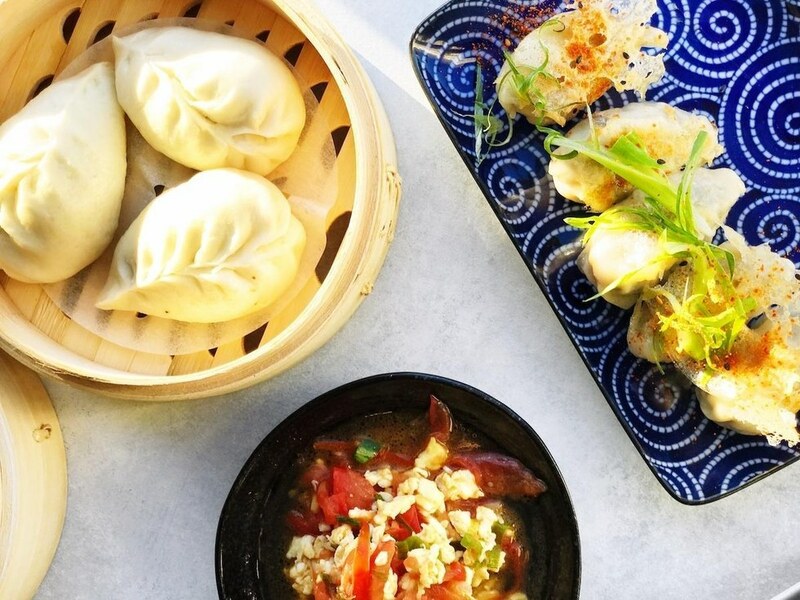 Dumpling Time will offer lunch and dinner with spots for 70 people and a patio coming this summer. 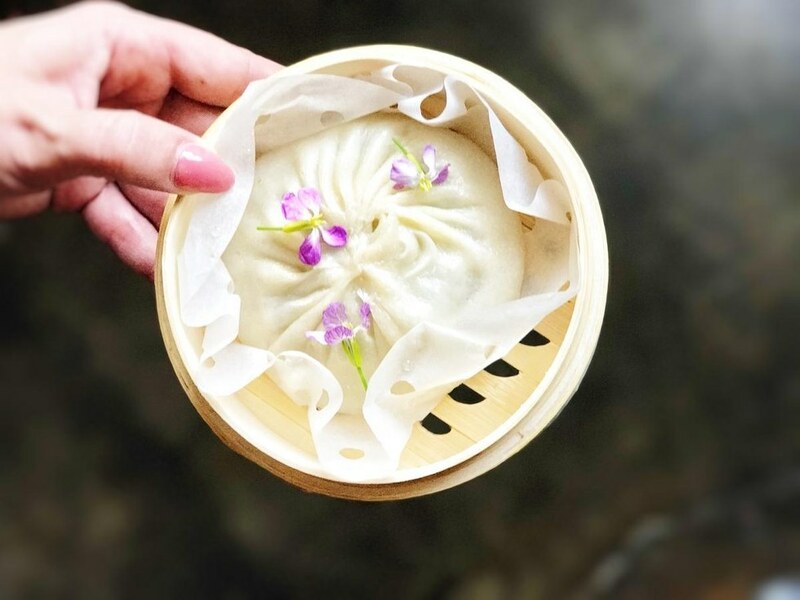 The different steamed buns come with a variety of fillings such as chicken with mushrooms and onions, heritage pork with green onions and cabbage, and char-siu roasted pork belly with a hint of peanut butter. 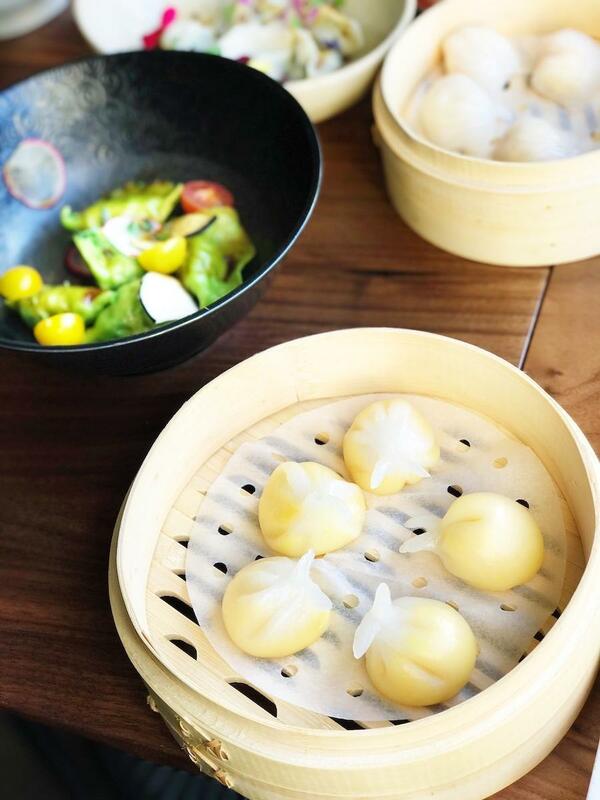 The har gow dumplings are perfect morsels of translucent dumpling dough, shrimp, and either cilantro or cream cheese for an unexpected twist. 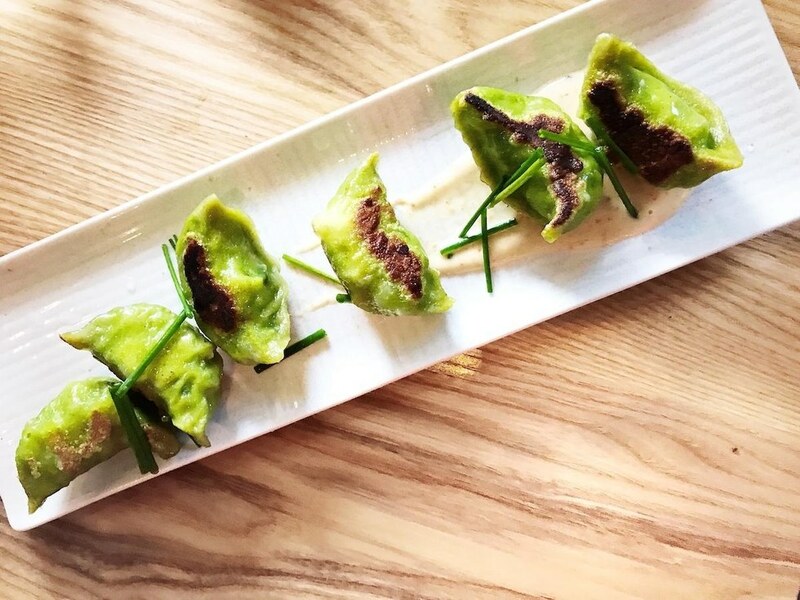 Dumplings are made in-house in an exposed, glass-walled kitchen so guests can see the cooks in action as each dumpling is hand-crafted.